Spanish high-street retailer Zara has been accused of allegedly accepting slave-labor working conditions supplanted by more than 30 of its outsourced plants running in Brazil. 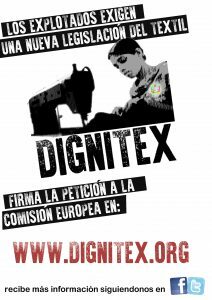 During an episode of the investigative TV show called A Liga (The League) reporters visited a factory where Bolivian immigrant workers were caught in slave-like conditions in garment production for the Galicia-based company, which is part of the Inditex group. Inditex’s owner, billionaire Amancio Ortega, is listed by Forbes as the 7th richest person in the world, with a net worth of $31 billion. Zara, which was once described by Louis Vuitton fashion director Daniel Piette as “possibly the most innovative and devastating retailer in the world,” is a vertically integrated retailer, producing about 11,000 distinct items annually and controlling most of the steps on the supply-chain, designing, manufacturing and distributing of its products. About 50% of the clothes and accessories sold by Zara are manufactured in Spain, while 26% are produced in the rest of Europe and 24% in Asian and African countries and the rest of the world where labor is somewhat cheaper. The company’s strategy when outsourcing products with a longer shelf life, such as basic T-shirts and denim, is to design “pilot clothes” that will ultimately serve as models for its suppliers, which often end up by handing the production to third part factories. According to Sao Paulo’s Ministry of Work intelligence officers, in just one of the outsourced factories manufacturing clothes for Zara 33 clandestine workshops have been located, where at least 50,000 clothing items have been produced in the past three months. In one of the workshops, a Bolivian worker explained to the reporter that a pair of Zara jeans – which in Brazil is sold for roughly R$ 200 ($126) – has a working cost of R$ 1,80 ($1.14). Such sum is divided equally between all the people involved in the production system, which on the case of the pair of jeans takes about seven individuals. The workers average monthly income is of about R$ 900 ($569) for a shift of no less than 12 hours. 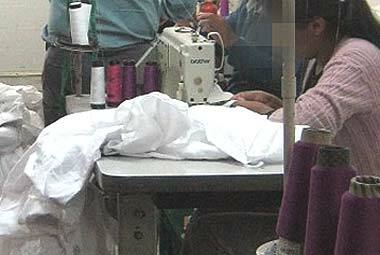 Working safety conditions found in these factories were also critical. A fire extinguisher had an expiration date of 1998. Founded by Amancio Ortega in 1975 in the Galician city of La Corunã, Zara rose to prominence in the mid-1980s soon after the company began its international expansion. With its low-priced lookalike products of popular higher-end clothing labels, today Zara is present in more than 78 markets worldwide, with a network of more than 5,000 stores and 92,000 employees. Although still a major shareholder in Inditex, Amancio Ortega stepped down as the group’s chairman last month. Inditex’s chief executive Pablo Isla was chosen by Ortega as his successor in the running of the retail empire. As an “incentive,” the billionaire presented Isla with 221,264 shares of Inditex, which are worth €13.7 million ($19.8 million) at market prices. Next PostNext (Español) La moda española en Tánger: trabajo y supervivencia de las obreras de la confección.